Early last Sunday morning we hopped in the car and started our four hour drive to the Big Apple. 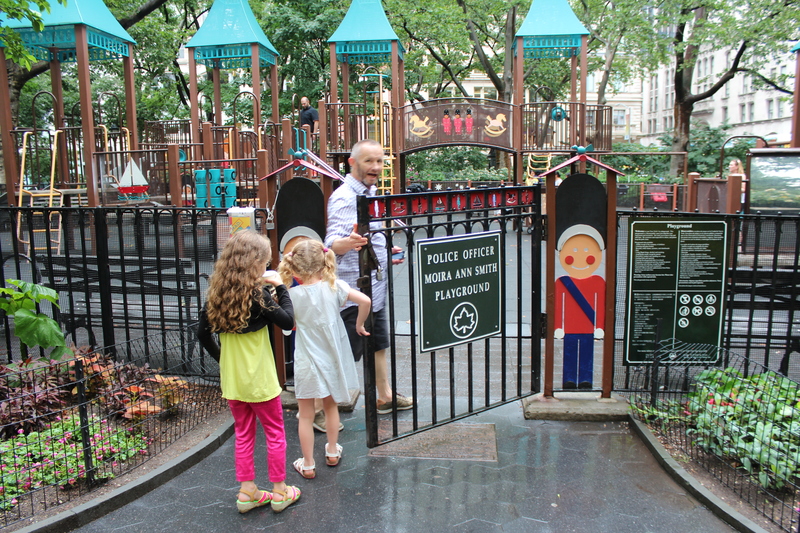 I feel very lucky to be able to say I have now made three visits to New York and for the girls it was like going back to visit an old friend – excitement levels were very high! Our route took us through West Virginia, Maryland, Pennsylvania, and New Jersey. As we sped through Pennsylvania we spotted our first member of the Amish community, whizzing past in his horse drawn buggy – I imagined it was Harrison Ford off to snog Kelly McGillis in a barn! 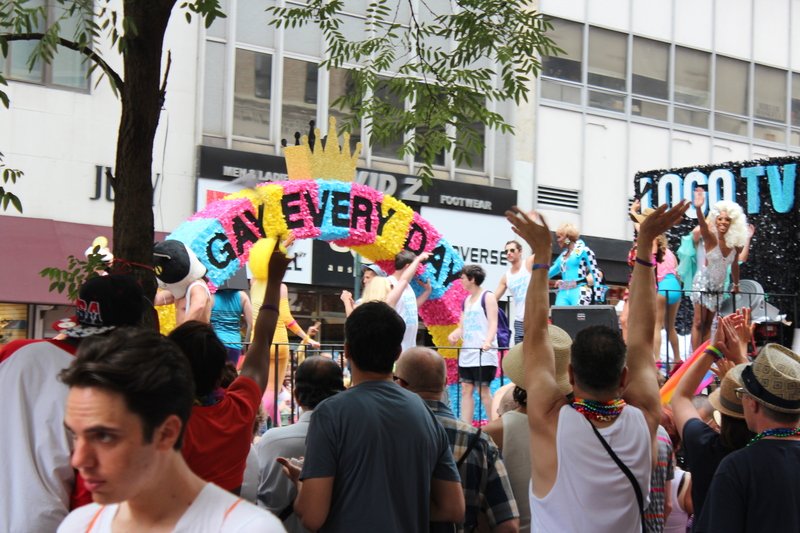 we’d stumbled upon NYC’s annual Gay Pride parade! This led to an interesting conversation with Olive as to what the parade was all about – never imagined I’d be having this discussion with my daughter as we strolled the streets of Manhattan watching drag queens in g-strings! In that wonderful way children have, she listened, nodded and then asked “when will we get to Annie?” I think our chat went well??!! Outside the Palace Theatre in Times Square. 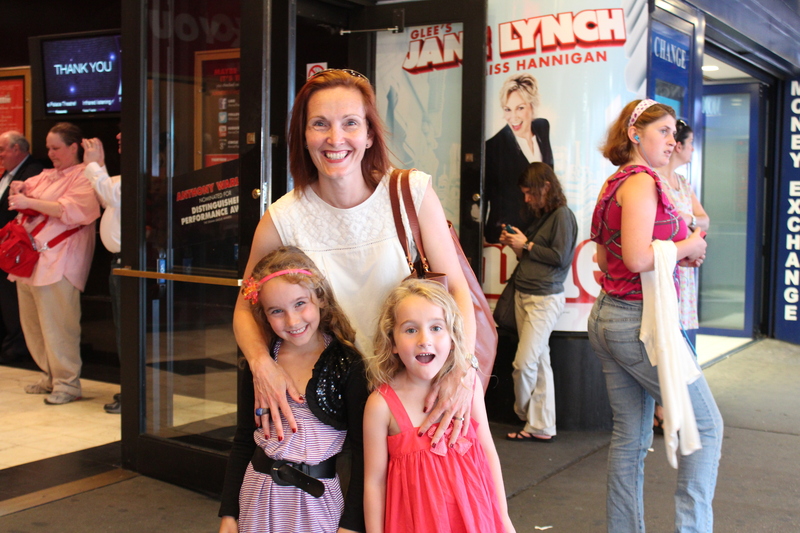 My non musical theatre loving husband went off to ramble in Central Park and us girls headed inside to see Coach Sue Sylvester strut her stuff as Miss Hannigan. Two days before we headed to NYC, there was a great documentary on PBS all about the current production of Annie, with a particular focus on the girls who play the orphans. 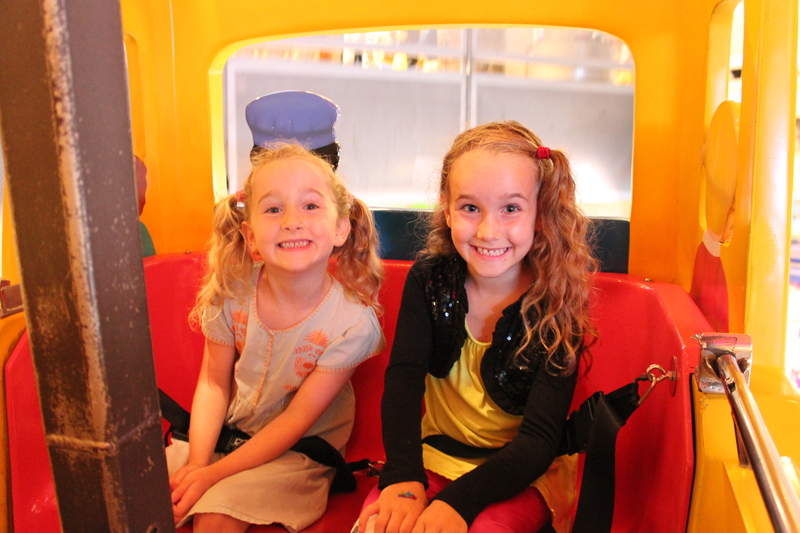 It was brilliant and the girls marched into the theatre eager to spot the girls they had seen on the doco. One of them hails from Virginia so the girls were super keen to see her. 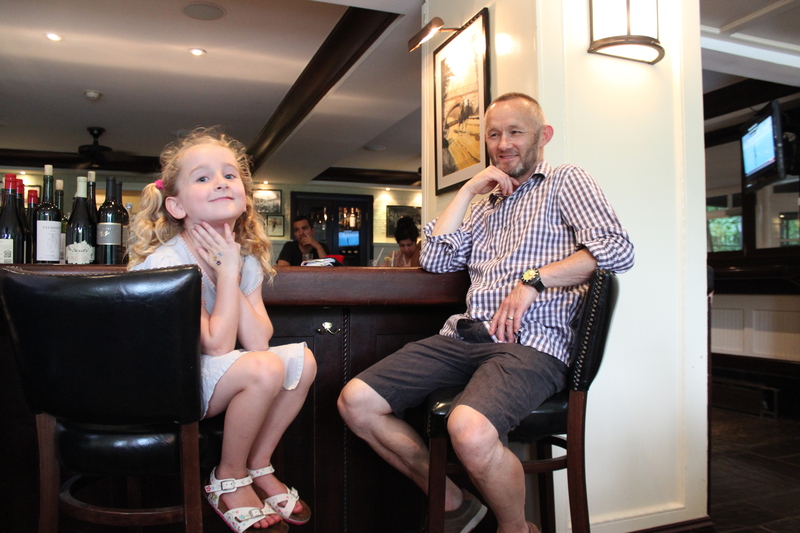 They scoured the programme as we waited for the curtain to rise – “ooo Mum, she’s only seven years old. I can be in Annie too.” Keep dreaming kiddo! It was brilliant. Every time Jane Lynch made an appearance the audience erupted, the orphans were hilarious and the eleven year old star of the show was, in a word, amazing. I was thrilled to see Anthony Warlow, the wonderful Australian singer, making his Broadway debut as Daddy Warbucks. I used to play my tapes of Phantom and Les Mis featuring Warlow, constantly. We met up with Richard after the show and headed down to Tribeca for a great dinner. Whilst in San Francisco the previous week, Richard overheard someone in a cafe saying they had just moved from New York. Richard asked him to suggest good places to eat so we ended up with a great list to choose from. 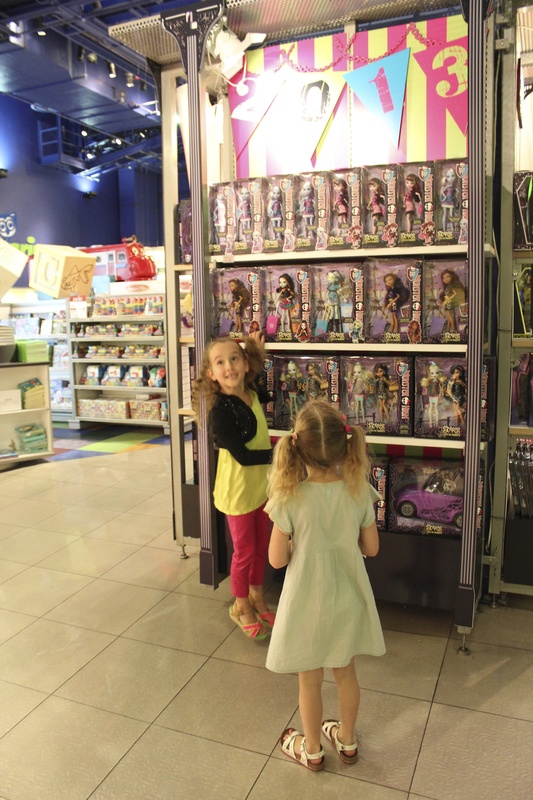 Monster High heaven in Toys R Us. There’s even an in store Ferris wheel! 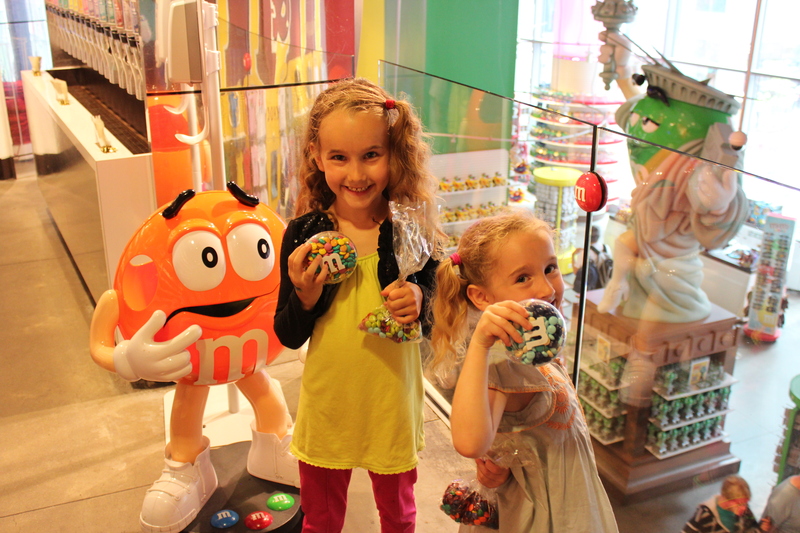 Making friends in the M and M store. 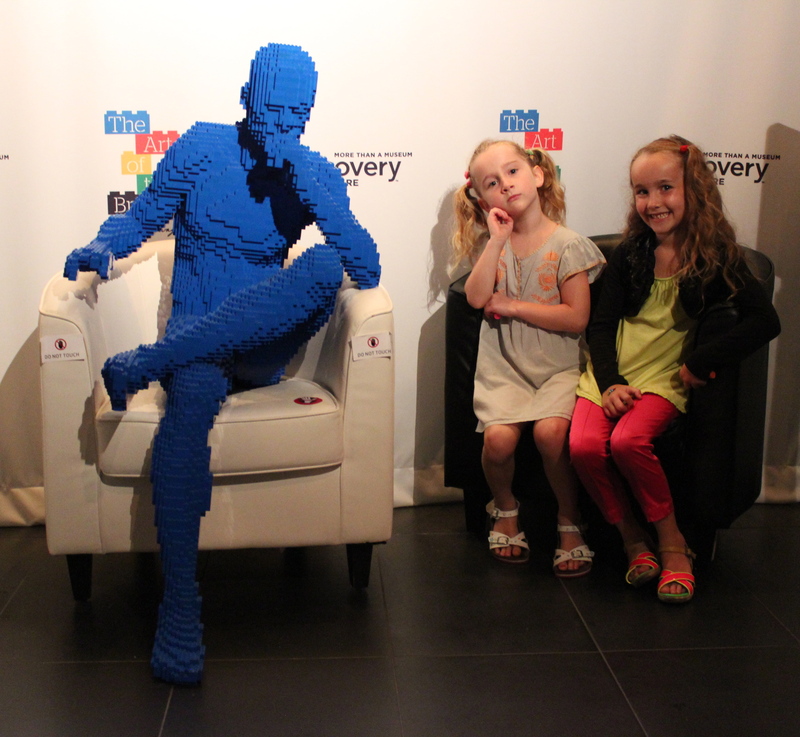 Outside the amazing Lego exhibit. This swimming figure was one of our favourites. We met up with Richard back at our hotel and after a quick rest ventured back out into the rain. 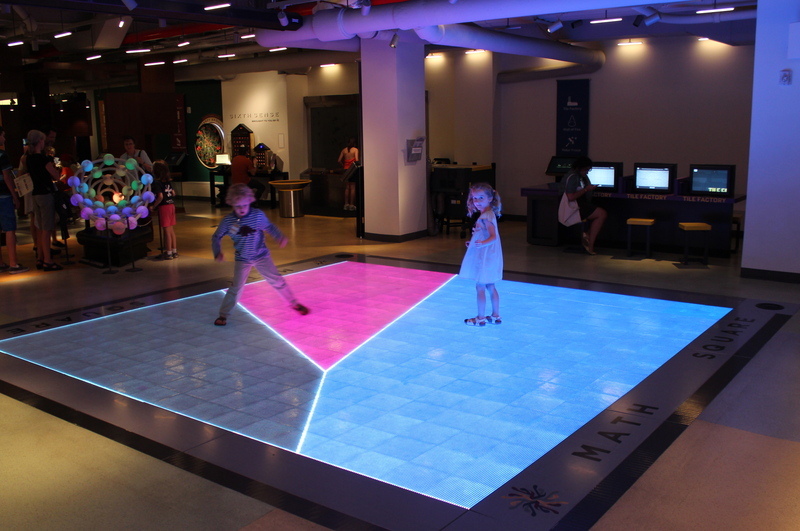 We spent our afternoon exploring Madison Square Park and made a quick visit to the MoMath Museum. 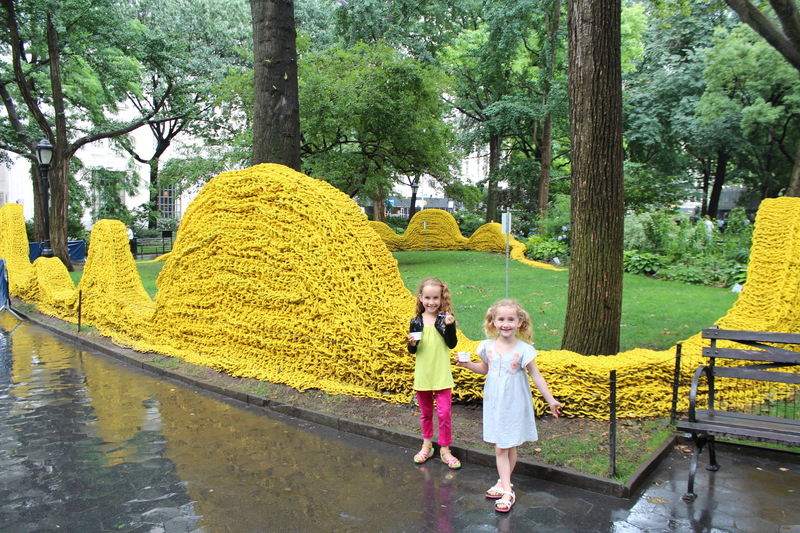 Checking out the installations in Madison Square Park. 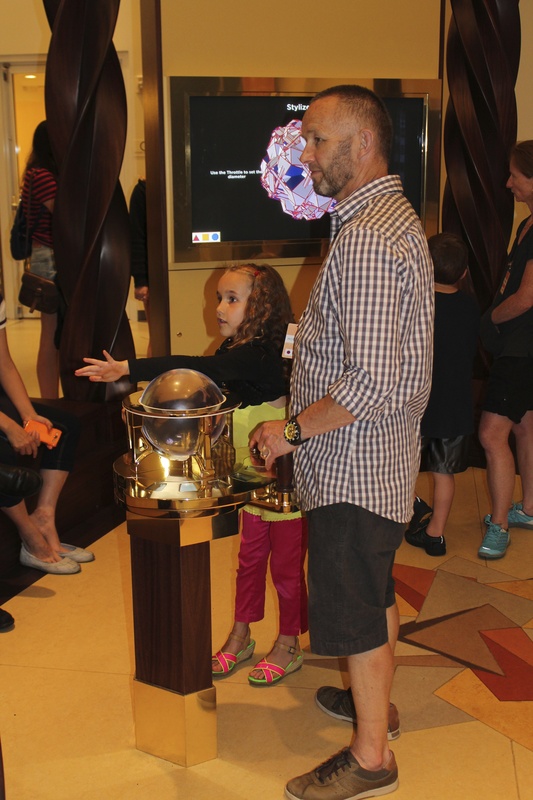 MoMath was full of great hands on maths activities. And the coolest light up dance floor! 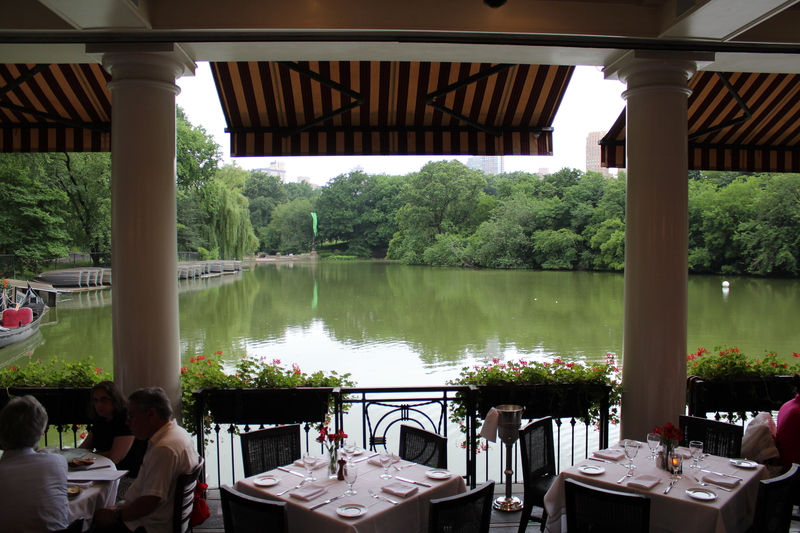 .We made a quick stop in Central Park for a wee drink at the Boathouse before turning in the direction of home. Lovely view over the lake. 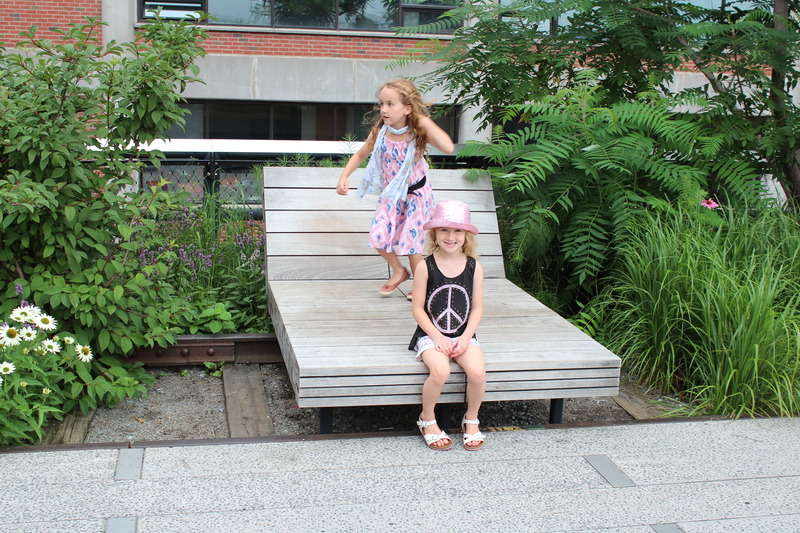 We only had Tuesday morning left in NYC and we chose to spend it at the High Line, a one mile linear park that was built on a section of the former New York elevated railroad. 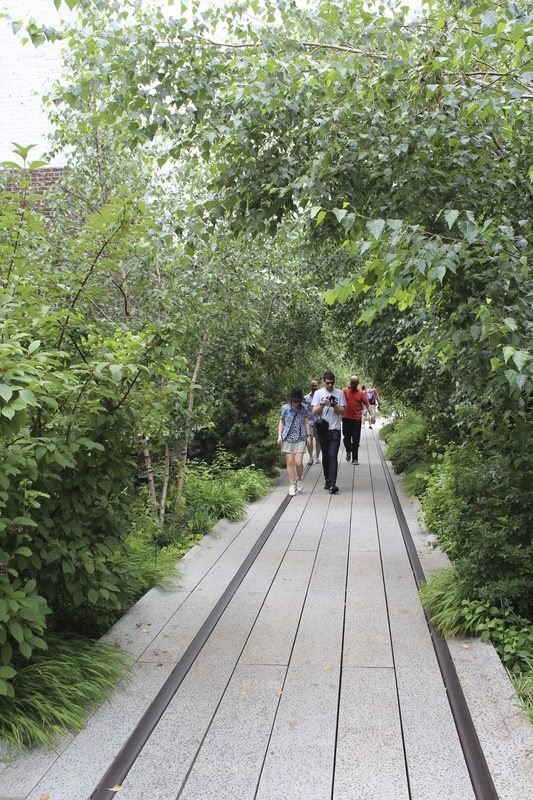 The park has naturalized plantings that are inspired by the self-seeded landscape that grew on the disused rail tracks and also art installations dotted along the track. 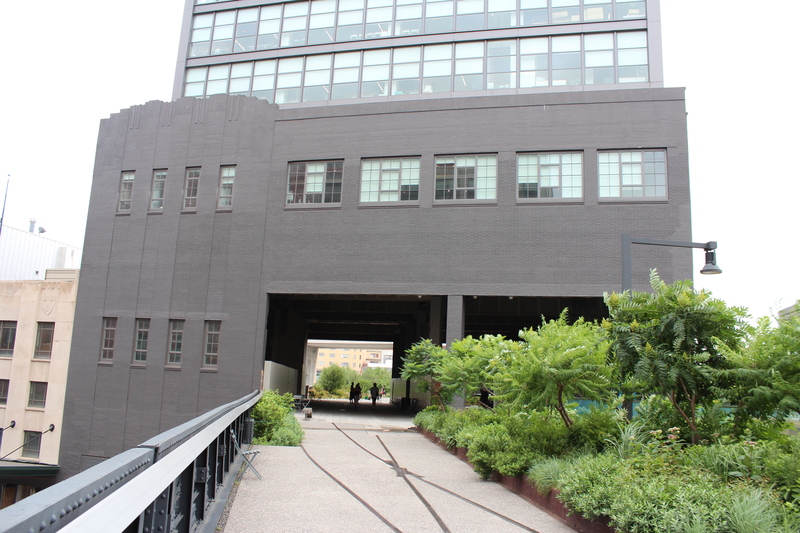 The start of our ramble along the High Line. Pausing to take in the views of the Hudson River. 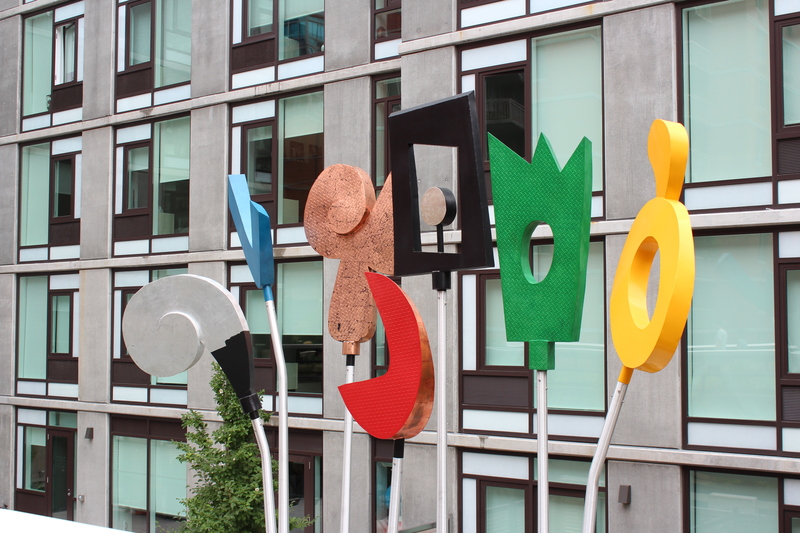 One of the vibrant art installations. A tunnel of green in the midst of an urban jungle. Looking down on the city. All too soon it was time to get back in the car and return to Winchester. I have to admit it was hard to leave. Whilst there are so many good things about living in Winchester, at heart I am a city girl and I need to get my fix every now and then! Fortunately we have several big city options within easy driving distance. 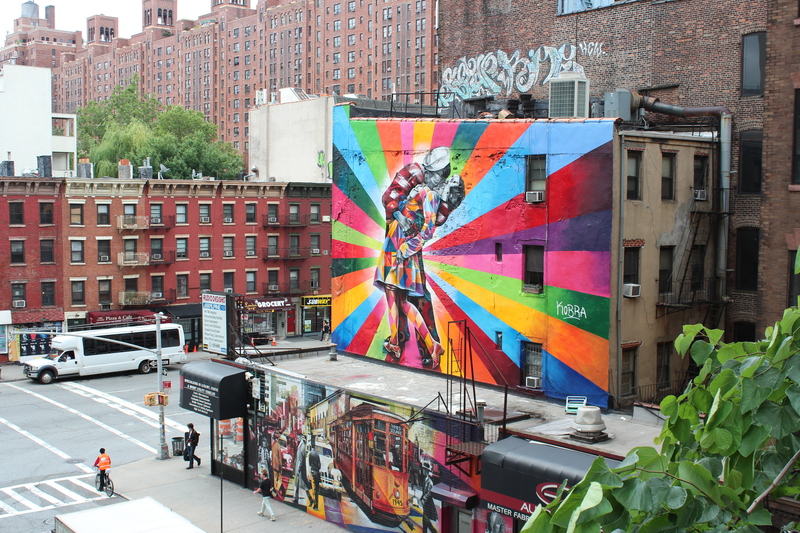 There are lots more New York pics if you click on the link to my Flickr photos. Richard is away – again! Boston this time then Michigan later in the week. We are really looking forward to heading to South Carolina for our beach vacation on Friday – one whole week with Dad in the same place – yay! As the song goes “New York, New York, its a helluvva town” felt like I was on the journey with you all. My granddaughters becoming “Big Apple” fans and seeing Annie live………remember when Dad was in the orchestra for the Napier Municipal production of Annie years ago!! Anthony Warlow was a great Aussie Phantom of the Opera, and I have a great cd of him, John Farnham and Olivia Newton John doing their thing at a live audience. It was made not long after he had gone through heavy chemo for his cancer which mercifully he survived..
Great musical and interesting museum! The blond boy at the dance/light floor made me think of Linus. I can imagine that lake view must feel like an oasis in the middle of the city. Keep enjoying the summer holiday! That’s so funny Mrs Olga – when I saw that blonde haired boy I instantly thought of Linus too!